Our well-drained, sandy loams are ideally suited for growing strawberries in New England. Our season here usually starts in early June and lasts into early- to mid-July. Our picked strawberries are available at ourfarmstand and the Lebanon,Lyme and White River branch stores of the Hanover Coop. We also open the fields to Pick your Own. 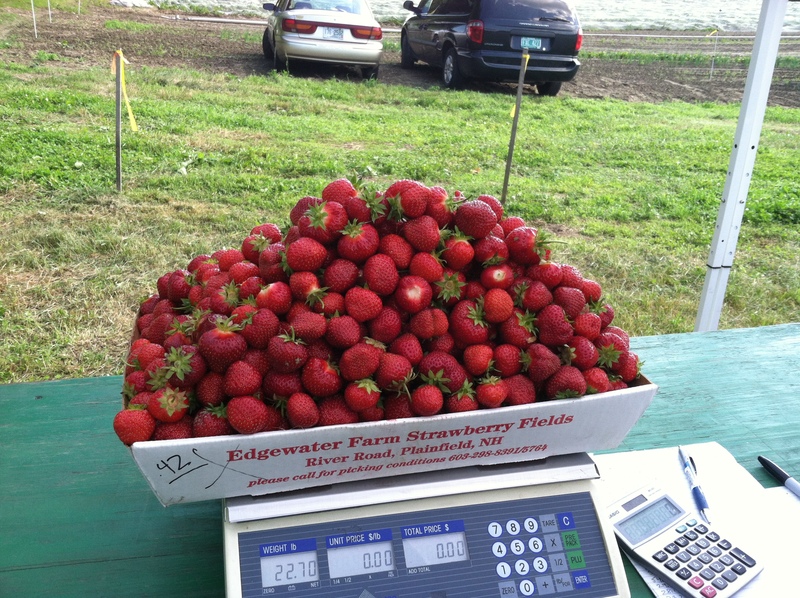 If you call 603.298.8391 between 6 AM and 8pm during the strawberry picking season you will get updated reports on picking conditions as well as directions to the fields. 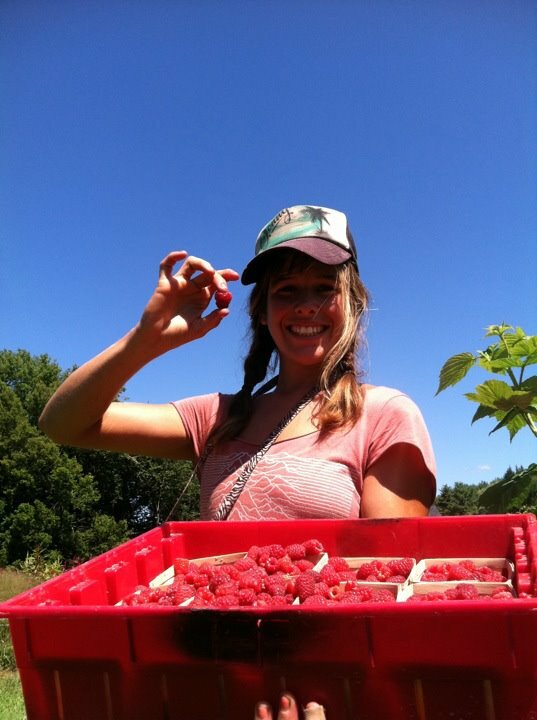 Edgewater Farm has always grown fall raspberries for the farmstand and in 2003 we started picking our own summer varieties of red raspberries which are available thorugh our farmstand. In 2004 we started picking the first of our own black raspberries (also know locally as Blackcaps) and they will be available through our farmstand along with summer red raspberries.We also crop 3 acres of blueberries. As it is a young planting, we currently supply these to the Hanover Coop Food Stores as well as our farmstand. The harvest season for blueberries is mid-July through late August. If we are lucky, by August we will pick some peaches from our small peach orchard, but if we are not we can still fill our farmstand with fall raspberries until frost in October. Red Gold in the Tomato Greenhouses. Bring on the marinaan d salsas!! 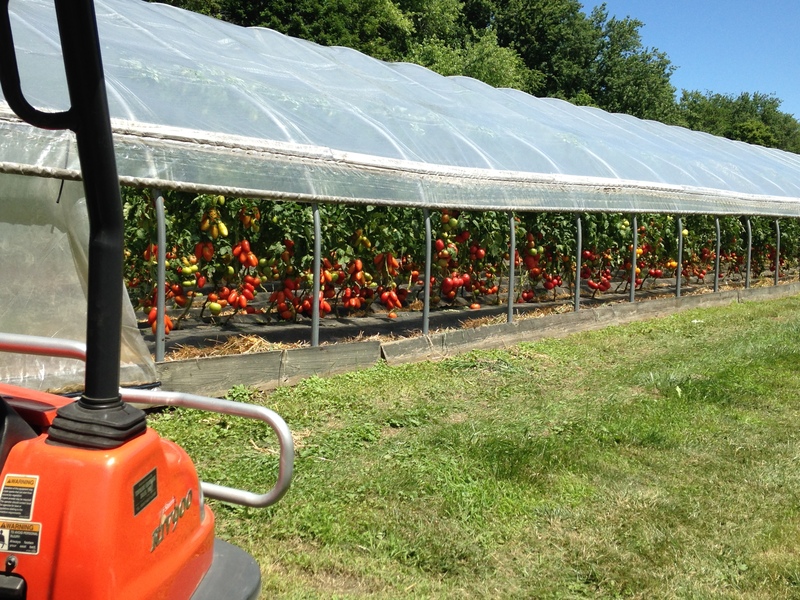 Part of the product mix here at the farm is a complete line of vegetables. We grow everything from Arrugula to zucchini. Because we believe in sustainable agriculture, we grow our crops using IPM methods (Integrated Pest Management). IPM, coupled with preferred soil management practices integrating cover crops and manure based composts. This allows us to produce crops of the highest food value using the least amount of sprays and inputs. All this and we pick them when they are ripe, so they taste good too! Our farmstands open in June, often heralding the first greens, greenhouse grown tomatoes and strawberries from the gardens. 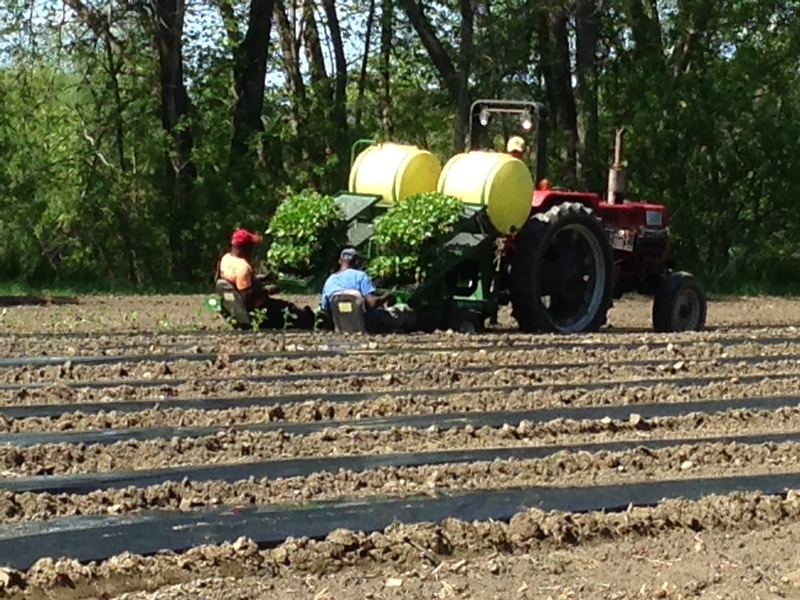 By late June, the farmstands are filled with a full spectrum of vegetables and summer raspberries from our fields. July and August bring sweet corn and melons, which give way in September to the cool weather crops such as pumpkins, fall raspberries and winter squashes. 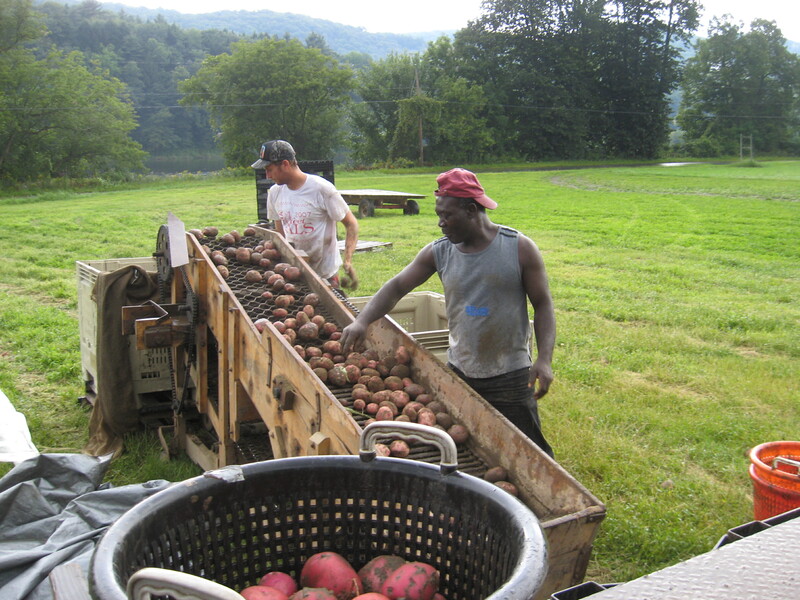 We close the farmstand early- to mid-October, usually coinciding with the first fall frosts. We also supply produce to the Hanover Coop Food Stores. 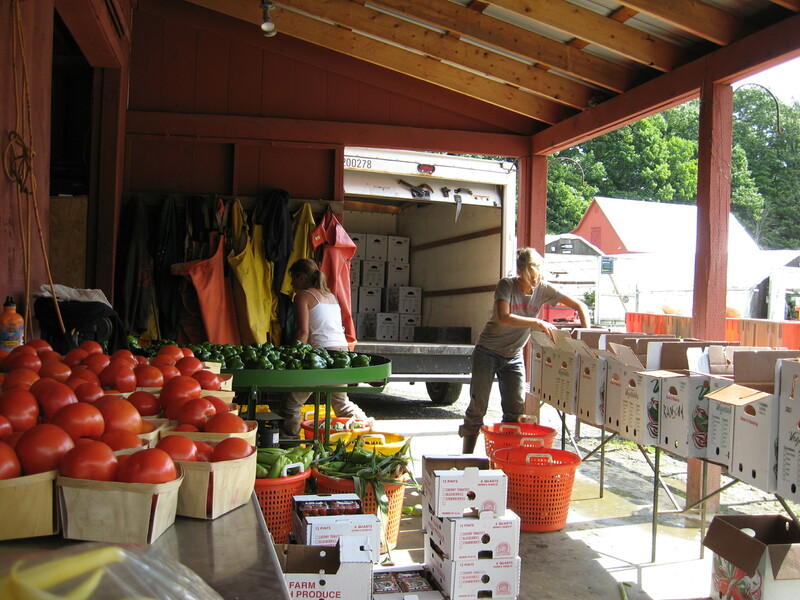 For information about what vegetables are currently available, you may call the Route 12A farmstand seasonally at 603 298 5764.